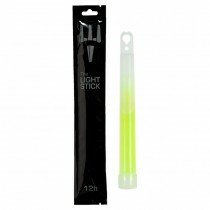 The Pitchfork Systems Lightsticks are a non-toxic, non-flammable source of light. Designed for emergency, safety, and signaling use. They provide safe, effective lighting without head, sparks, or flame. The Lightstick is waterproof and provides hours of steady light. Maximum shelf life is 48 months. Available in different colors as well as IR version (infrared).